Since 2008, we’ve helped over 170,000 Australian households and businesses make an informed choice about solar power – and now we can help you compare battery storage offers as well. 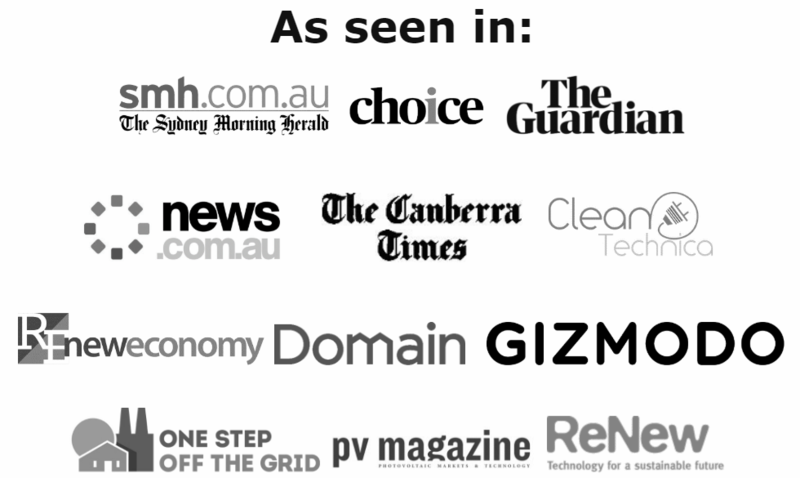 We’ve been quoted and referenced countless times in major news outlets and magazines, including Choice, News.com.au, Sydney Morning Herald, Gizmodo and RenewEconomy. Every day, thousands of people visit our website seeking answers to solar & battery-related questions, and we’ve had millions of people access our thousands of pages of content since our inception. Solar Choice is the only place in Australia where you can get an instant, interactive, apples-to-apples comparison of solar offerings from a range of solar companies, across a range of sizes and product categories. The installers in our network upload their pricing, product & warranty information to our database as a prerequisite to appearing on our network. This information is all visible to you when you fill out our Quote Comparison request form, and you have the opportunity which 3 companies you’d like to receive contact from, based on the offers you see in your comparison. Note that by filling out the form, you’ll also have access to a secondary comparison of solar or batteries regardless of what your initial selection was. There are links to our calculator & rooftop solar potential tools as well. Example of Solar Choice Quote Comparison interface (with prices removed). Click to enlarge.